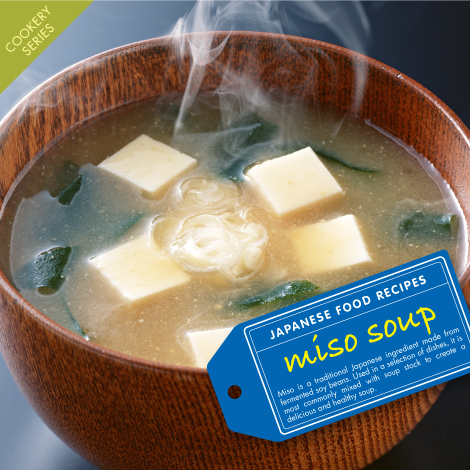 The next in our recipe series is the classic Japanese staple, Miso Soup. Over the next few months, we’ll be showing you how to make the tastiest and most popular dishes out there. Miso is a traditional Japanese ingredient made from fermented soy beans. Used in a selection of dishes, it is most commonly mixed with soup stock to create a delicious and healthy soup. You can buy many of the ingredients at Japan Centre, just click on the link and add it to your basket. 1. Start by boiling 4 large cups of water mixed with the dashi in a saucepan. 3. Add the dissolved miso paste back into the saucepan and stir to keep the mix smooth. 5. Chop up a block of tofu into small 1cm cubes and add to the soup. Posted in Food and tagged miso, recipe, soup. Bookmark the permalink. This looks great. Is it possible to substitute the bonito dashi soup stock for seaweed soup stock? Yes you can use seaweed soup stock instead of bonito stock. Adding Shiitake mushrooms to the stock will give it an even richer flavour! Vegetable stock can also be used as a substitute for the bonito stock.